LOLA loves a brunch wedding – and Mother Nature was smiling on April 30th as Andrew and Laura walked down the aisle at Holy Name Cathedral for their 11am ceremony. 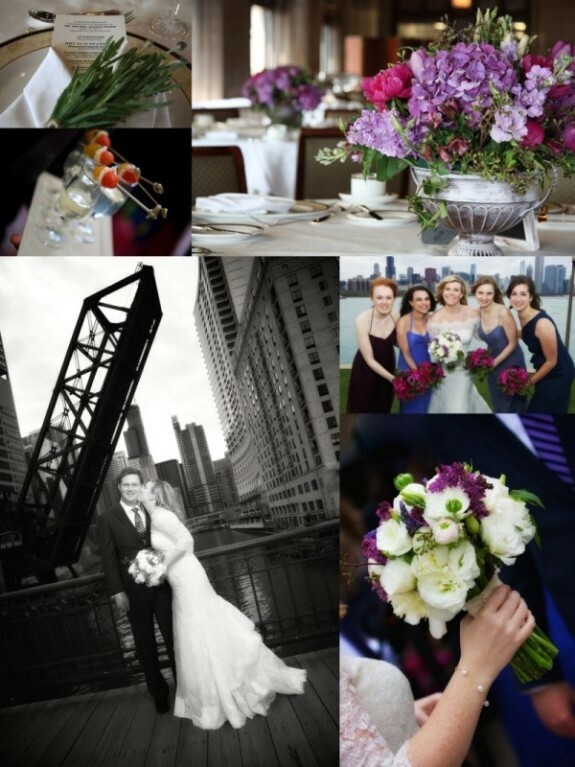 Following the ceremony, guests gathered for a lively brunch reception in Cathedral Hall at the University Club of Chicago where the English garden inspired decor was perfect for the Spring season. Bouquets and centerpieces loaded with Peony, Lilac, Ranuculous and other garden flowers spilled from urns that trailed ivy were created by LOLA. Each napkin was accented with fresh Lavender – the bride’s favorite. Later in the evening, guests gathered at Luxbar for dancing and dessert and partied late into the evening – an entire day of wedding fun! Thanks to Michael Monar for these fantastic shots!